Share a spot of tea with her majesty. 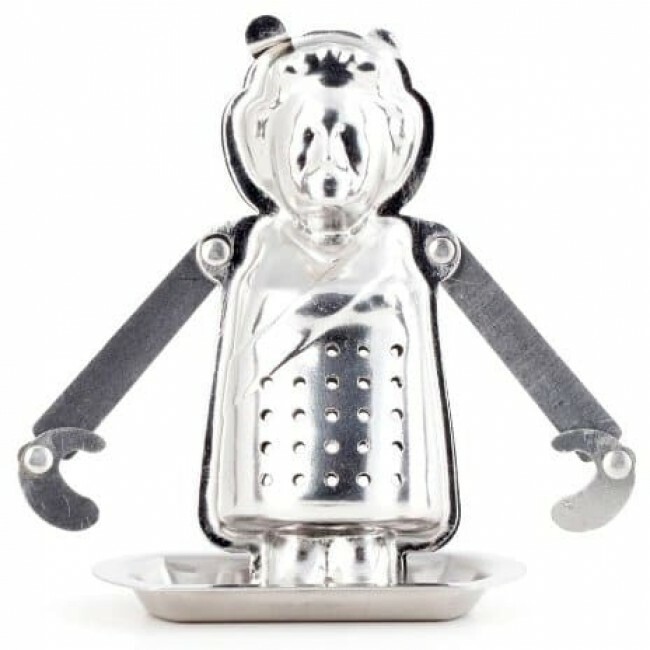 This stainless steel tea infuser has adjustable arms that cling to the sides of your cup as it steeps your tea. Drip tray included for use when infuser is not in use.